Policing is a complex and challenging job and occasionally we can find ourselves in situations where complaints or allegations of misconduct can arise. In such cases, Federation members have the right to consult with a Federation 'friend'. Following a recent training course, several more BTP Federation reps are able to act in this capacity and provide support and guidance to colleagues. Proceedings began with a brief introduction before we were straight in to a presentation from Victor Marshall OBE, from the Superintendent's Association. He gave an overview of what the Association was currently dealing with including high profile cases such as Hillsborough and murder of Stephen Lawrence before giving an update on the upcoming overhaul of the Complaints and Misconduct Regulations by the Home Office. To my mind, this review or overhaul - call it what you will - appears to be a good thing. The whole concept is geared more towards a more transparent, open and fair process in dealing with complaints against police officers. The Home Office wants to move away from the current regime whereby everything seems to be dealt with by way of misconduct procedures. Low-level misconduct, mistakes and underperformance will be dealt with outside the disciplinary system and rather than sanctions being imposed on the officer concerned. This new process will obviously involve more training for line managers and Federation reps and this is something we will look to implement once we know when it will be up and running. The Home Office has proposed that this will be sometime in 2019 and that a six-month window will be put in place so as the relevant individuals can be trained prior to that. Nick Stanage of Slater and Gordon Lawyers was up next with an input on claims for false imprisonment of our members and how Fed Reps can help to demonstrate to a court that arrest and detention of a member was unnecessary and therefore unlawful. This was a bit of an eye opener and it requires the Federation to rethink its approach towards false imprisonment claims for our members. Mr Stanage provided an informative handout which I can provide to any reps who need it. The second day of the seminar was a full day and the first presentation of the morning was by Rupert Bailey, Head of Police Discipline at the Home Office's Police Integrity Unit. Mr Bailey reinforced Victor Marshall's message that significant changes were coming to the misconduct regime. He implied that it would be an improved system and that the focus would be on enhancing the performance of our members, rather than apportioning blame. The ambition for the new system is to ensure that it is proportionate and less adverse with a focus on learning and improvement. Mr Bailey pointed out that every PSD department will have to be on board with this and that the whole idea was to improve accountability, streamline the process and timeliness, thereby improving transparency and fairness. The next guest speaker was a familiar face - Colin Reynolds of Reynolds Dawson Solicitors. Colin gave an informative talk on Death and Serious Injury (DSI) whilst in custody or Police contact. Colin focused more on non-firearm DSI's resulting from incidents involving restraints, pursuit RTA's and more topically, moped stops. He wanted to reinforce the fact that invariably it's a Fed rep who is first on the scene dealing with the member involved. Welfare is the priority for this member and the rep should establish the time that has passed since the alleged incident, if the members has been able to contact family, had access to food and drink and finally, access to and contact with a legal representative. Next to speak was Julian Williams, Chief Constable of Gwent and the NPCC lead on Ethics. This was little more light-hearted after the previous topics. Mr Williams explained that ethics are not an exact science but are defined as: Moral principles that governs a persons behaviour and how they lead their lives. Knowing the difference between what you have a right to do and what is right to do. If only more people followed this simple notion. We also heard from Nicholas Walker, a Legally Qualified Chair (LQC) from the North West region. Mr Walker gave an input on how he Chairs Misconduct Panels. Brief but interesting, a key point was that Mr Walker says he always invites the panel to use the minimum sanction that is available to them for misconduct. This will be comforting words for most members and echoes the approach that we can often learn from our own and others' errors. In the final session we heard from DCI Mike Allen, PSD at Nottinghamshire Police. This was quite a refreshing input from a PSD viewpoint. Mr Allen, in his own words, looks like a fresh faced 12-year old, but has in fact been a police officer for 18 years, the last three of which have been in PSD. It was his view that the PSD culture has to change in order to adopt the new system of staff learning from rather than being punished for minor wrong doings or mistakes. Line managers have to be retrained to stop the ever-increasing referrals to PSD. As previously mentioned, a refreshing viewpoint. 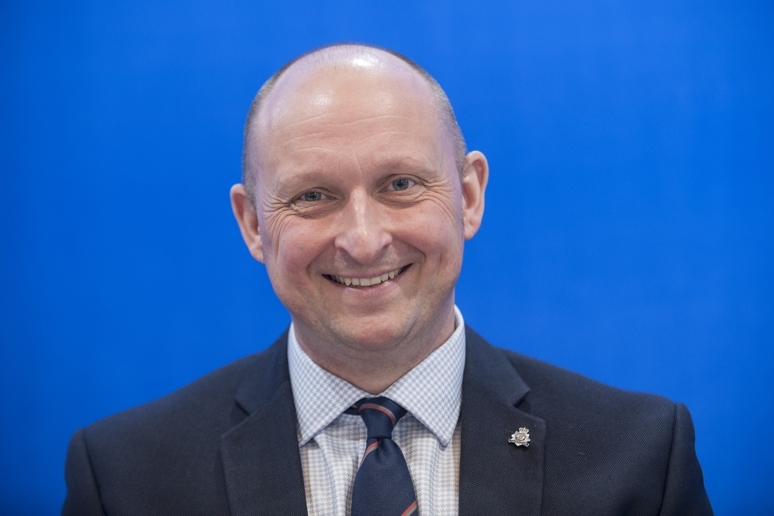 Mr Allen welcomes the new proportionate approach towards low level mistakes, short comings and under performance, and the increased focus on reflectiveness. The aim of this new system is a desire to reduce misconduct referrals to 20% rather than the present 80%. If this is the case, then extensive training is required by our line managers. The seminar concluded on this positive note and the Misconduct Leads dispersed to the four corners of the country. I welcomed the invite from PFEW and thoroughly enjoyed the event, finding it useful and informative. The overriding view of the attendees was that this change would hopefully be for the better and would make the world of misconduct a more progressive place to be.